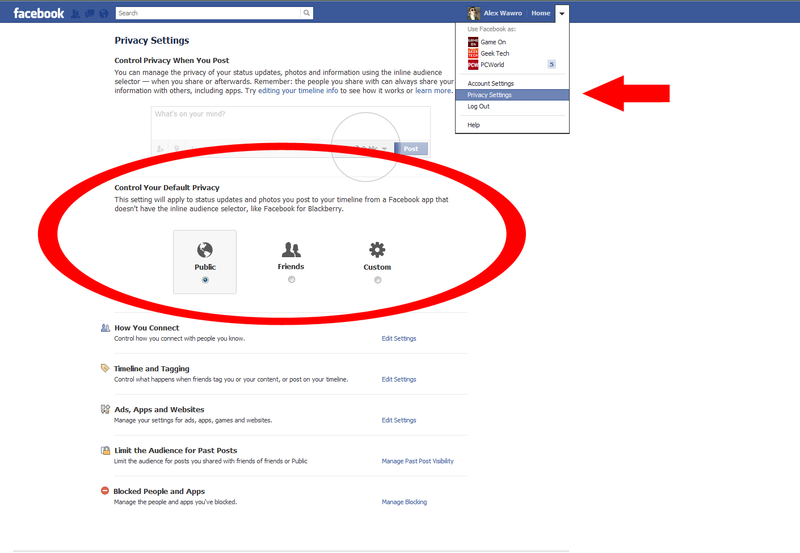 Your Default Privacy Settings provide broad control over how your data is shared on Facebook. 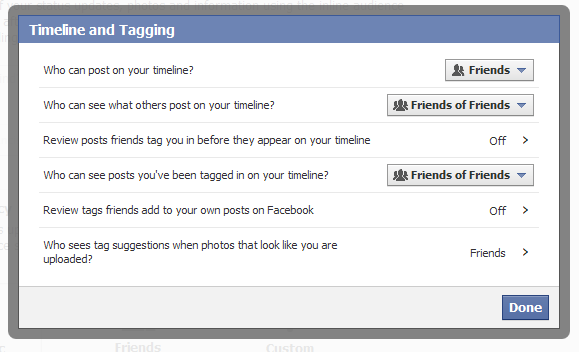 Description: Your default privacy setting is the first thing you'll see on your Privacy Settings page. It's also the most important item on the page, since it controls who can and can't see content that you post automatically. Facebook provides three options here: Public, which lets anyone see your new posts; Friends, which limits access to your content to people whom you've friended on Facebook; and Custom, which permits you to take a more granular approach to your privacy settings. 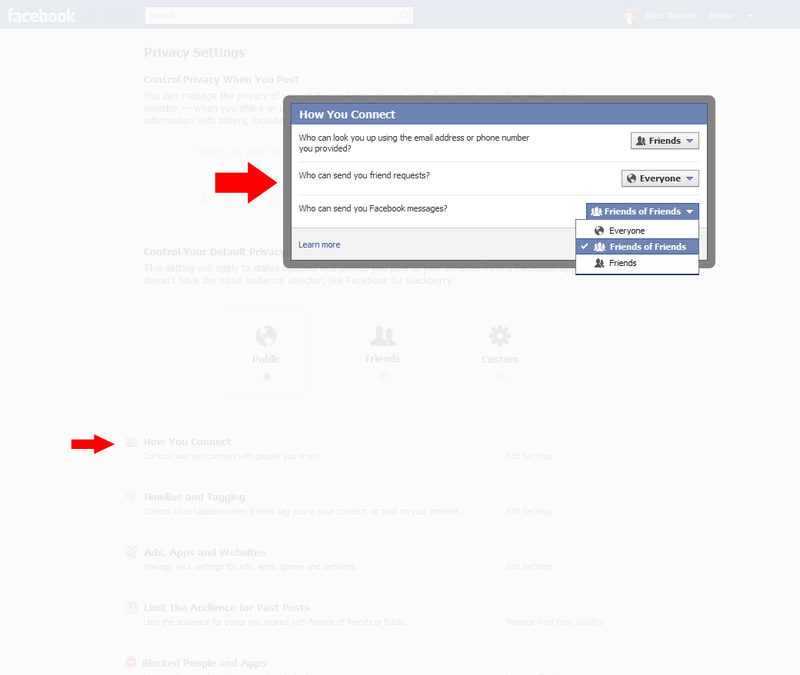 The How You Connect settings control who can send you messages and friend requests on Facebook. Description: These settings, which control who can view your personal information and who can contact you on Facebook, constitute what most users think of as their Facebook privacy settings. Clearly they're among the most important privacy controls on the site. You can change who can post on your Timeline and who can see it in the Timeline and Tagging menu. How You Connect section (see above).